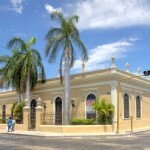 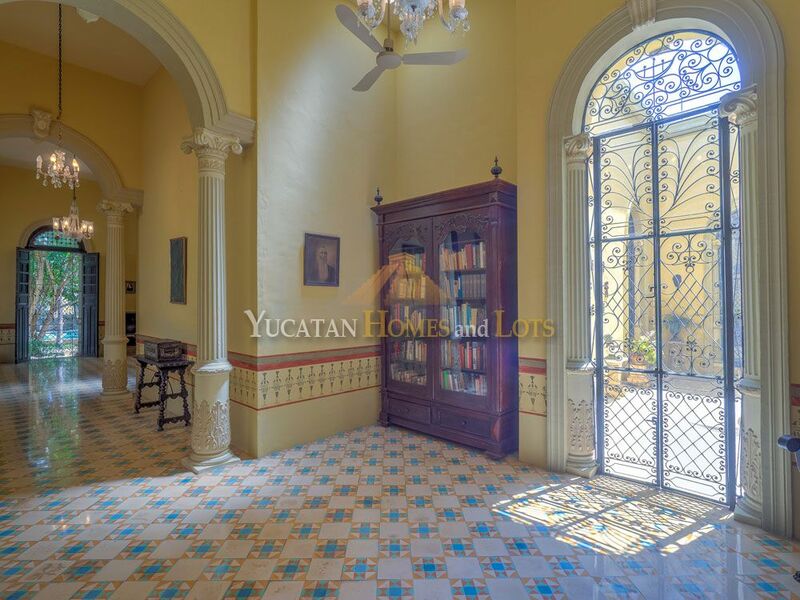 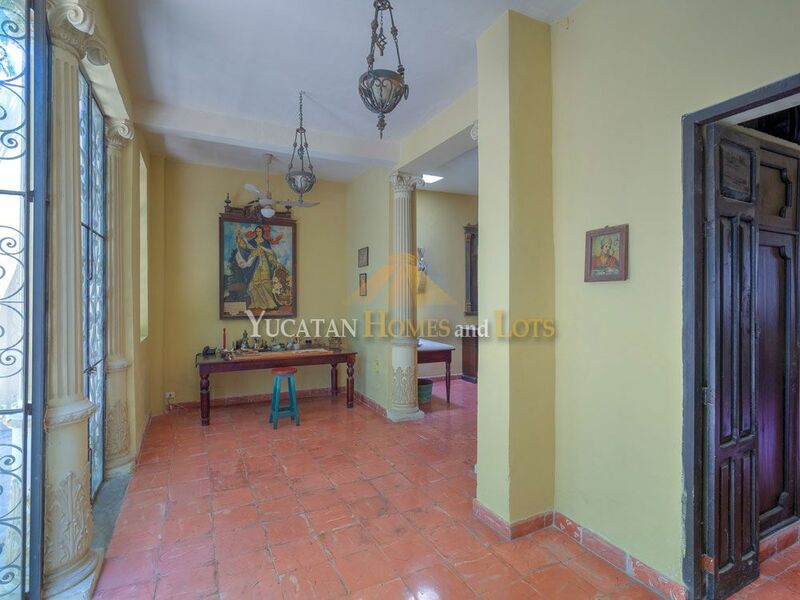 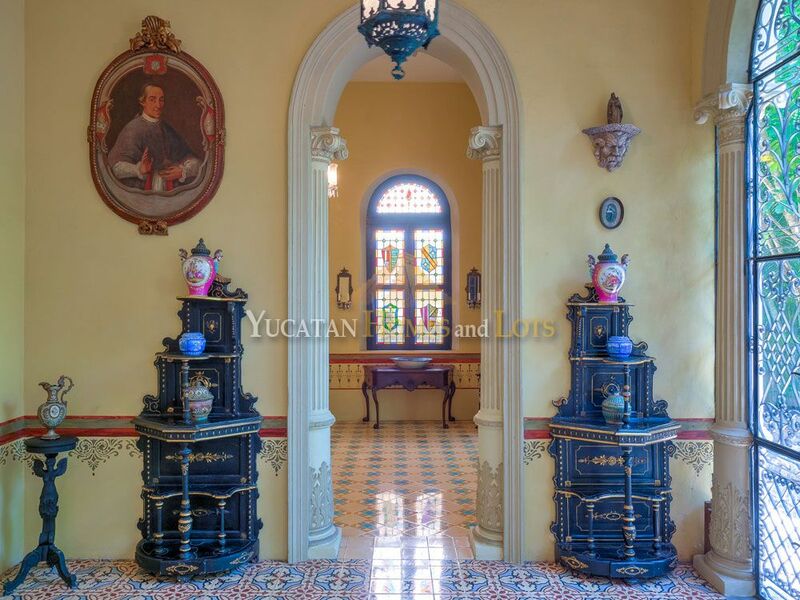 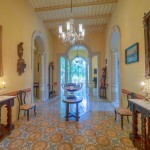 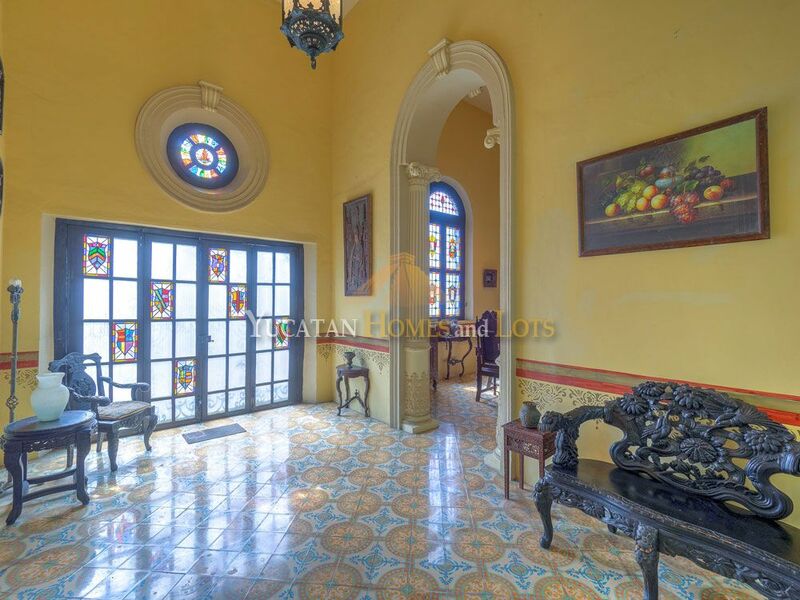 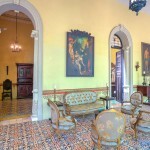 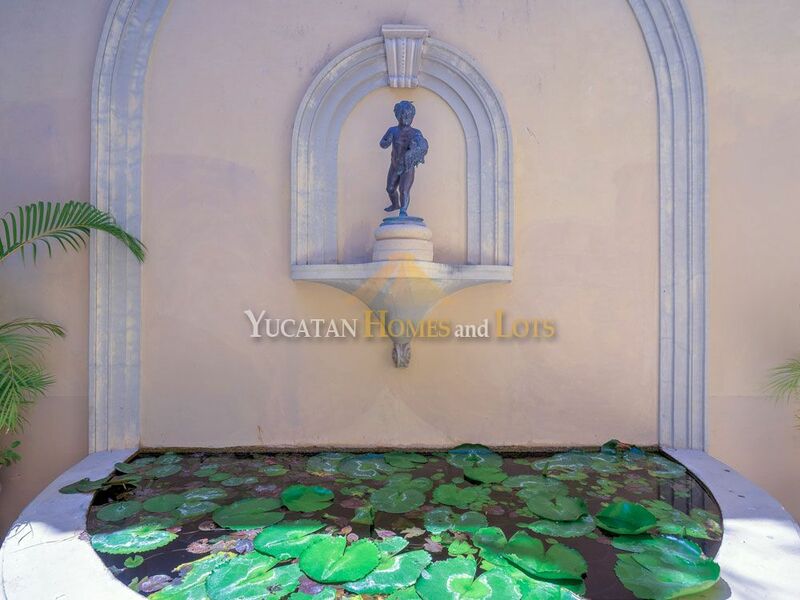 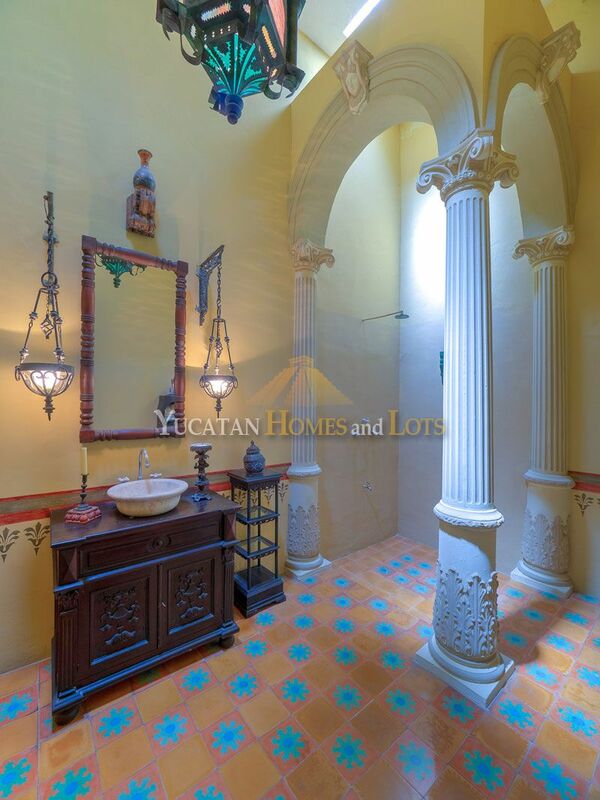 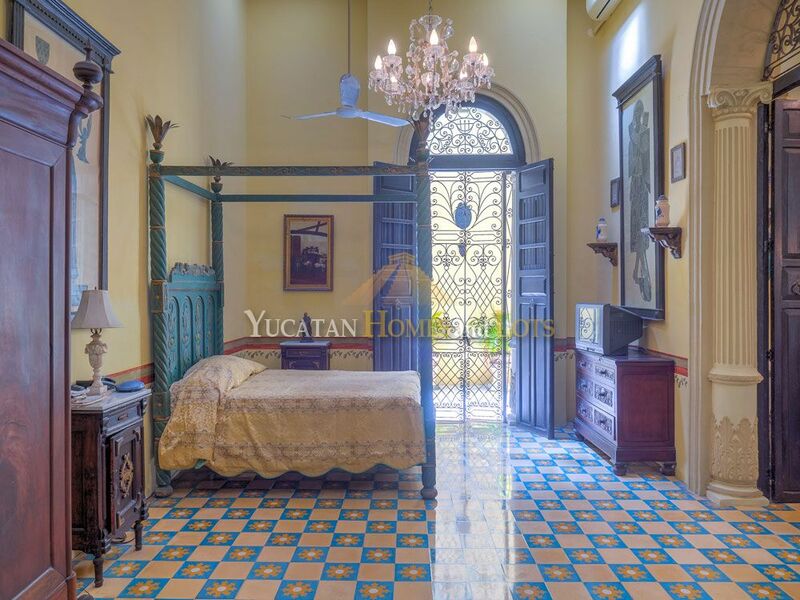 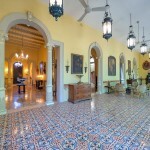 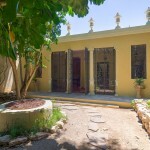 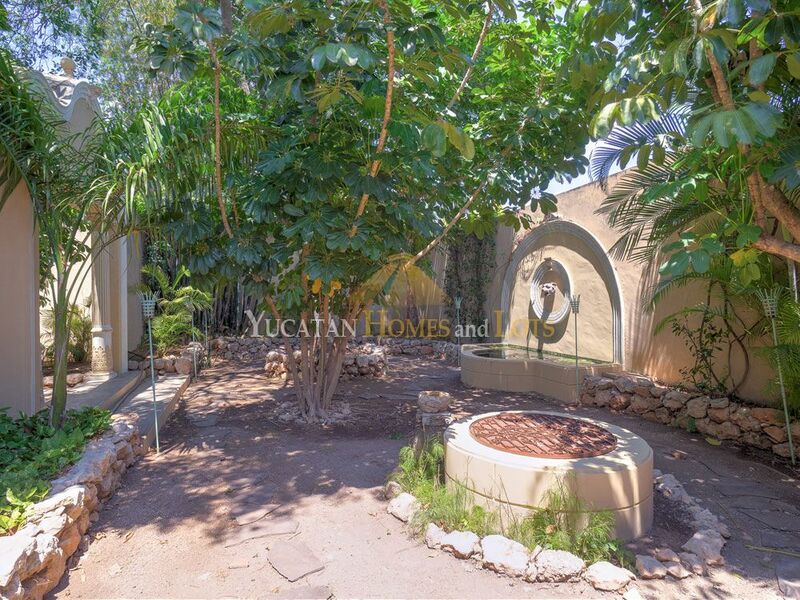 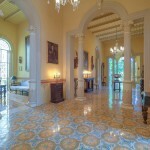 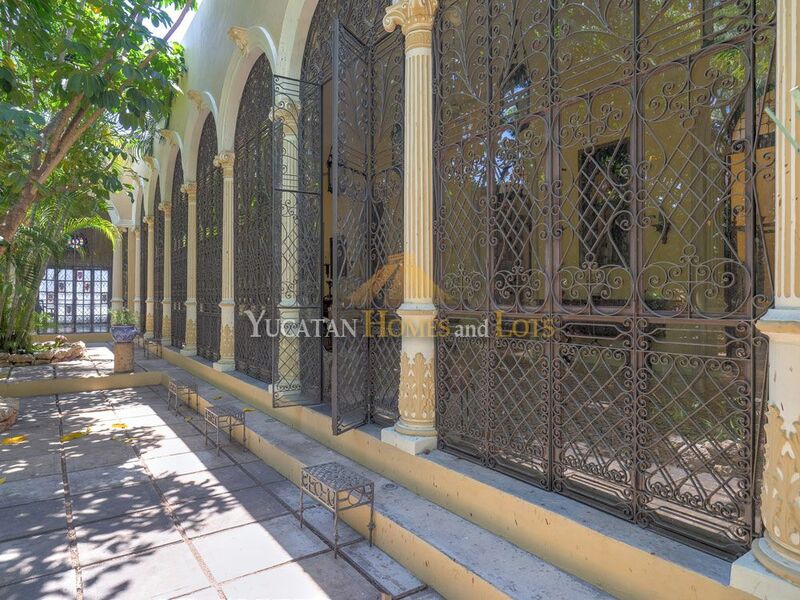 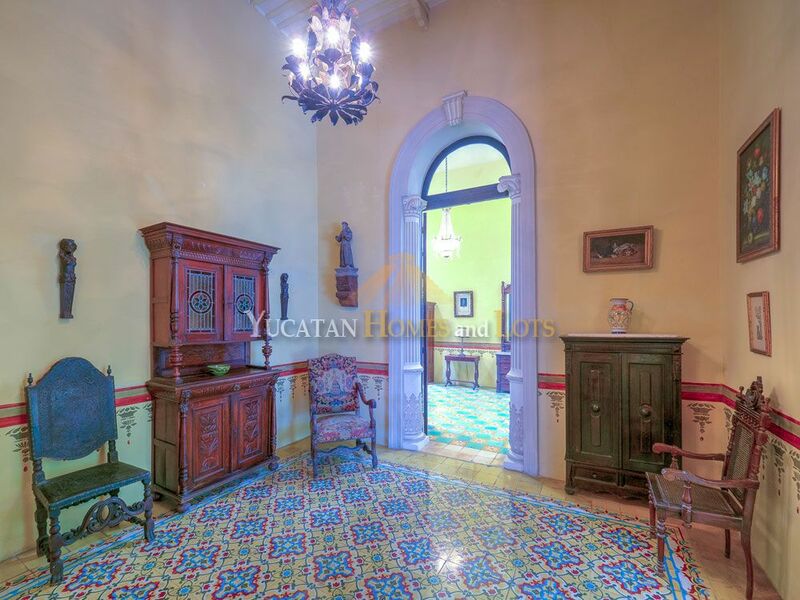 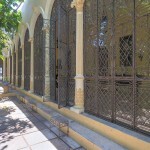 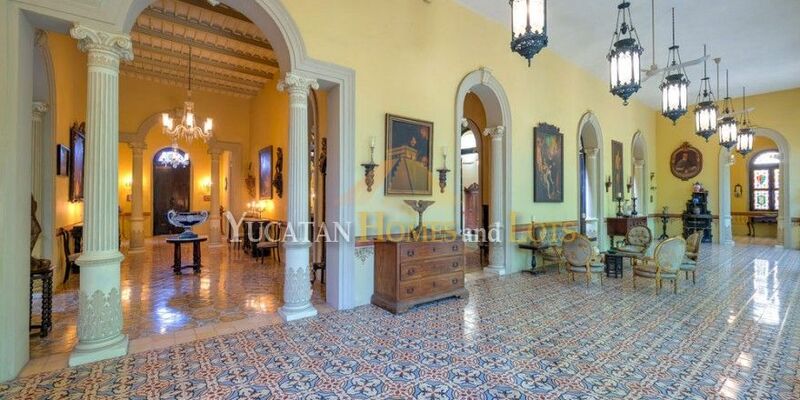 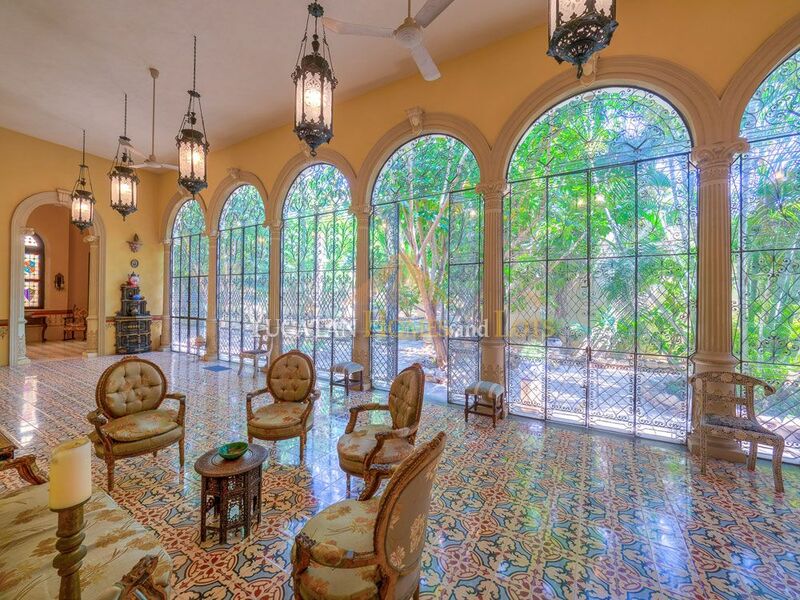 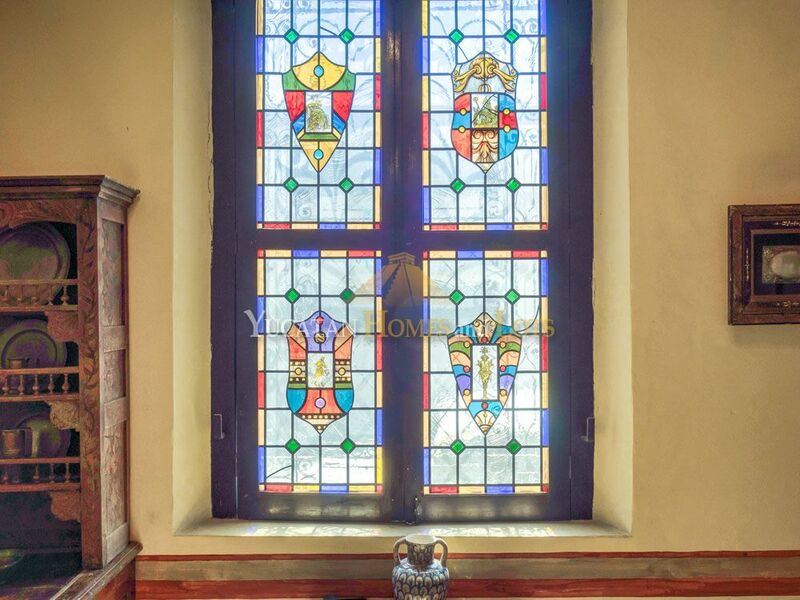 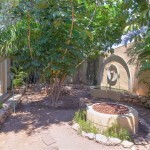 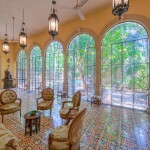 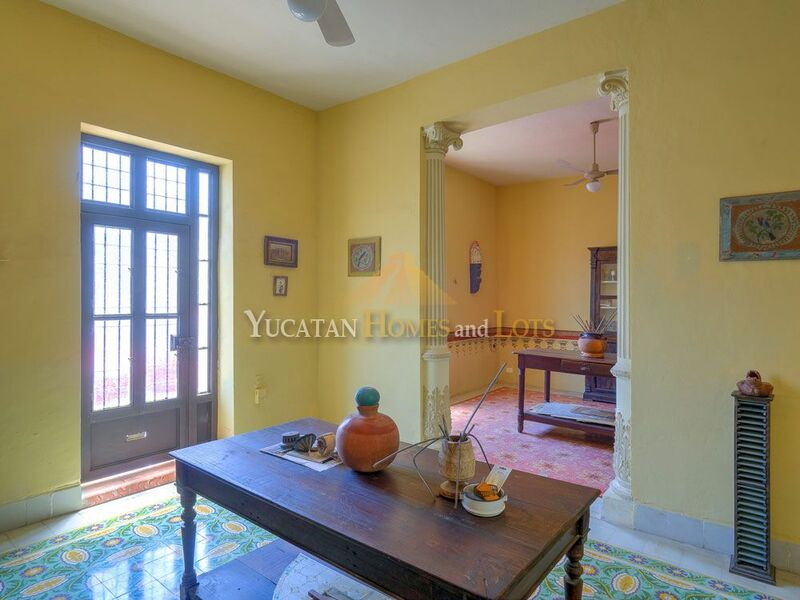 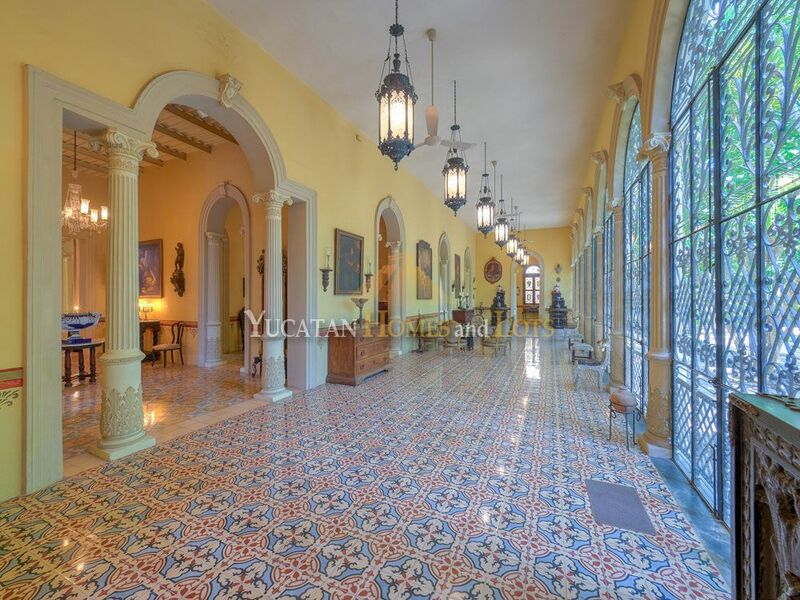 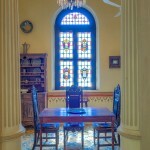 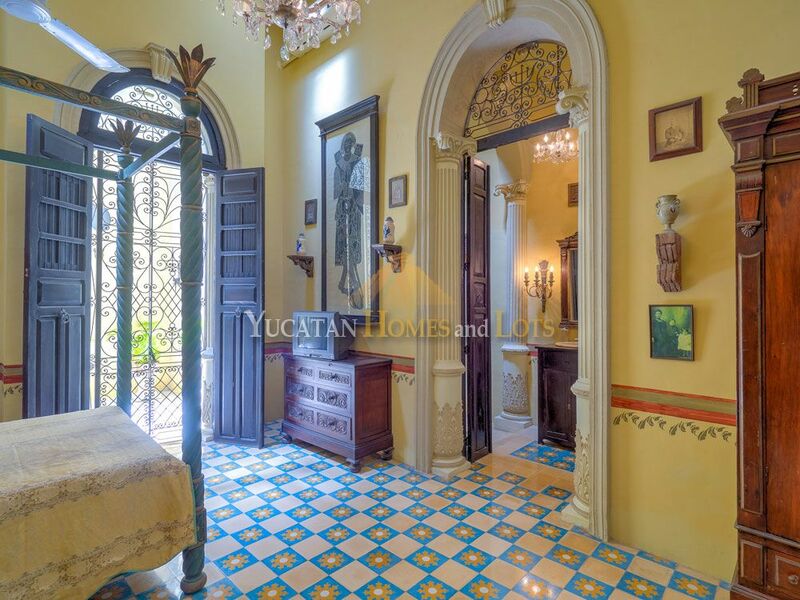 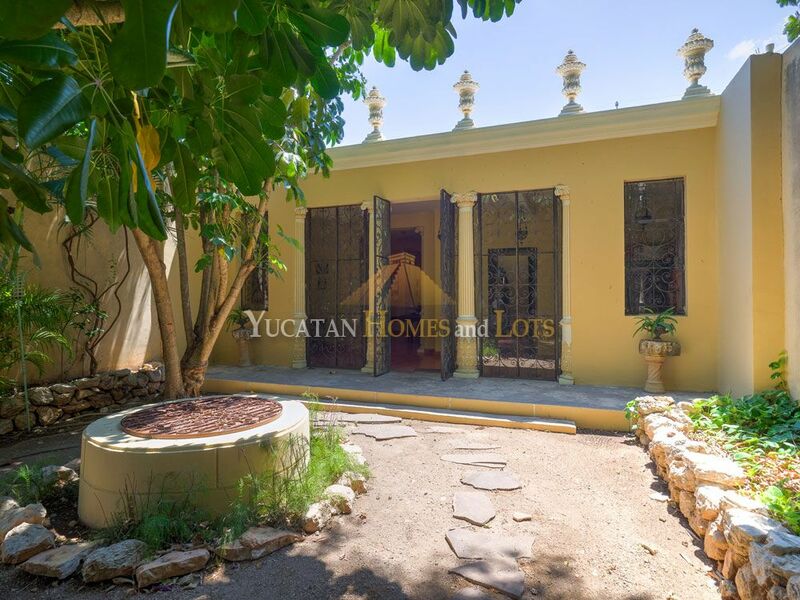 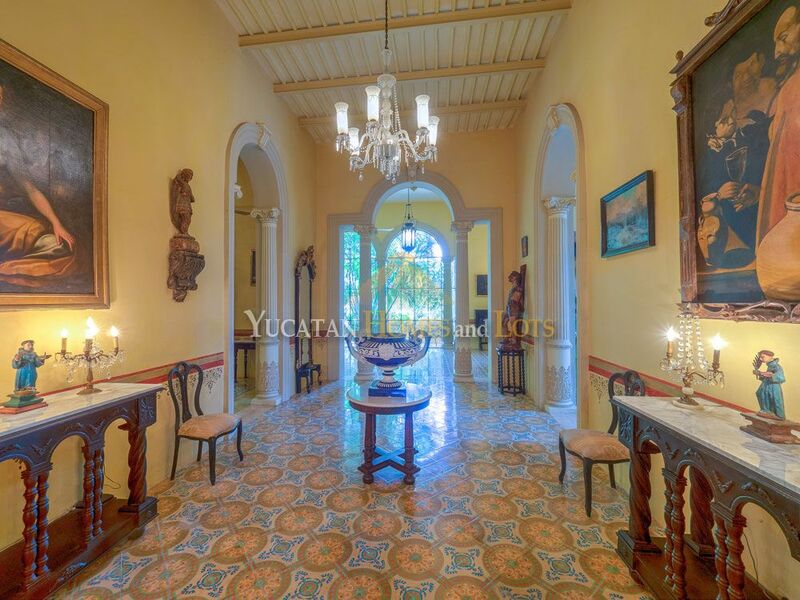 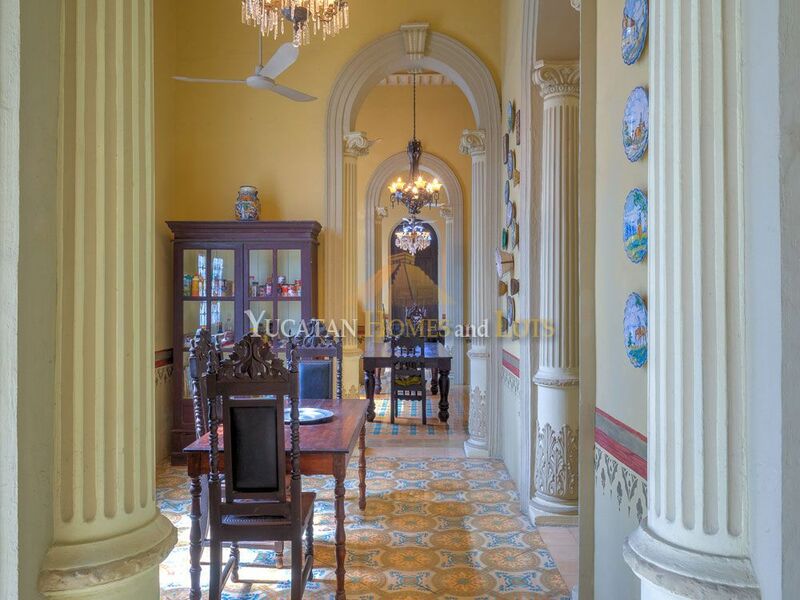 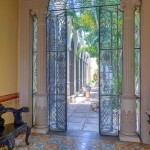 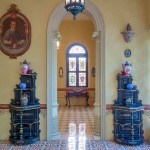 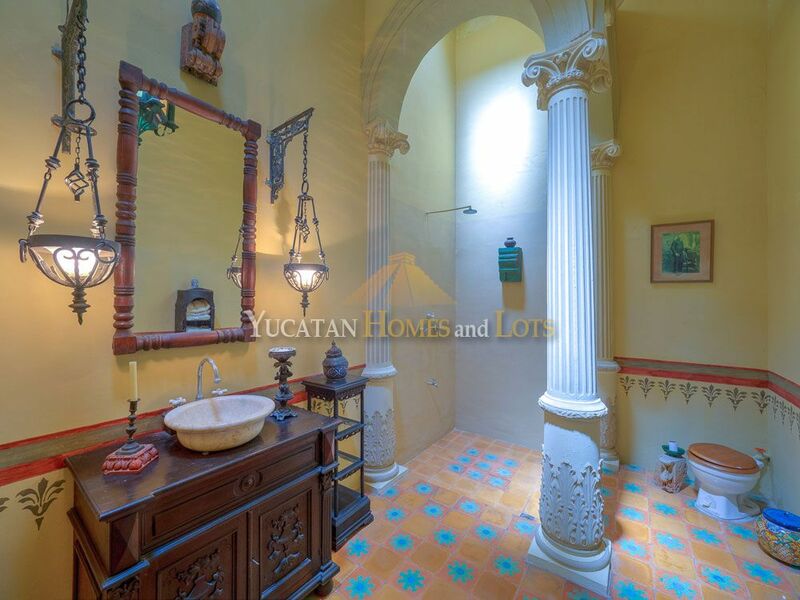 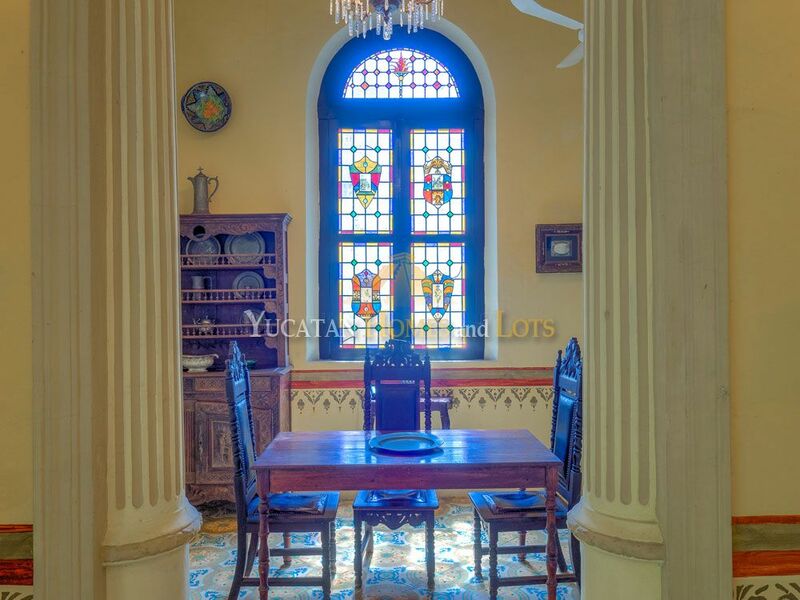 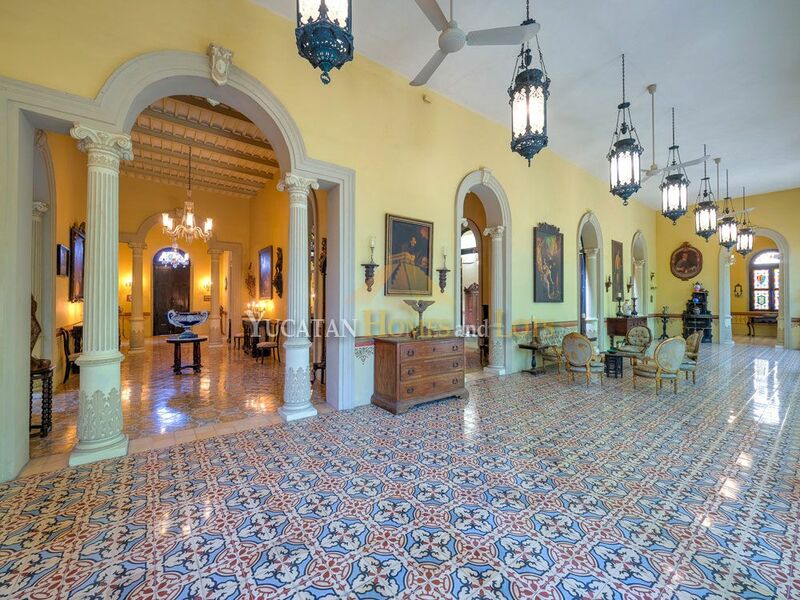 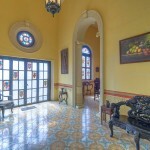 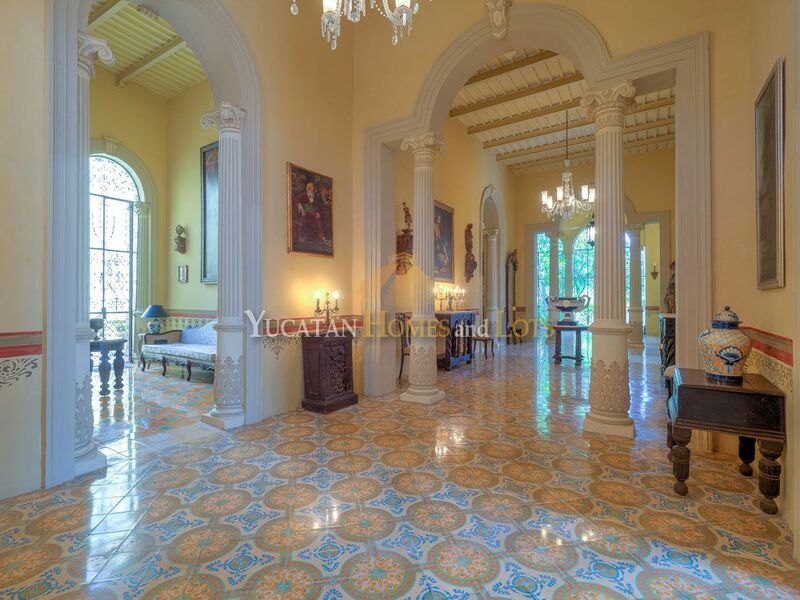 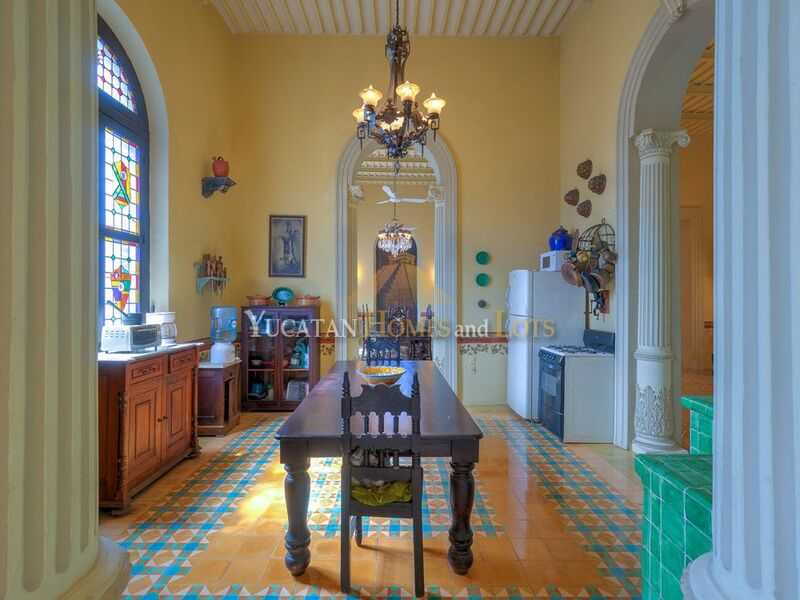 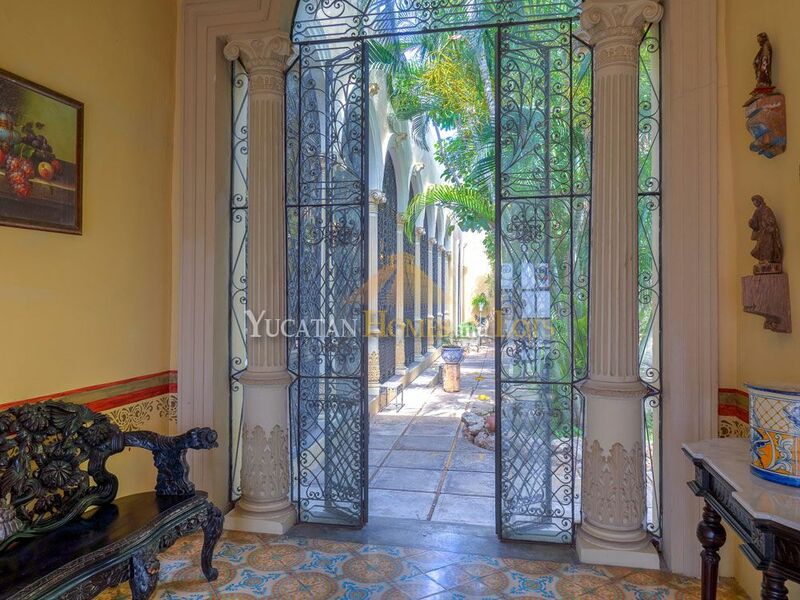 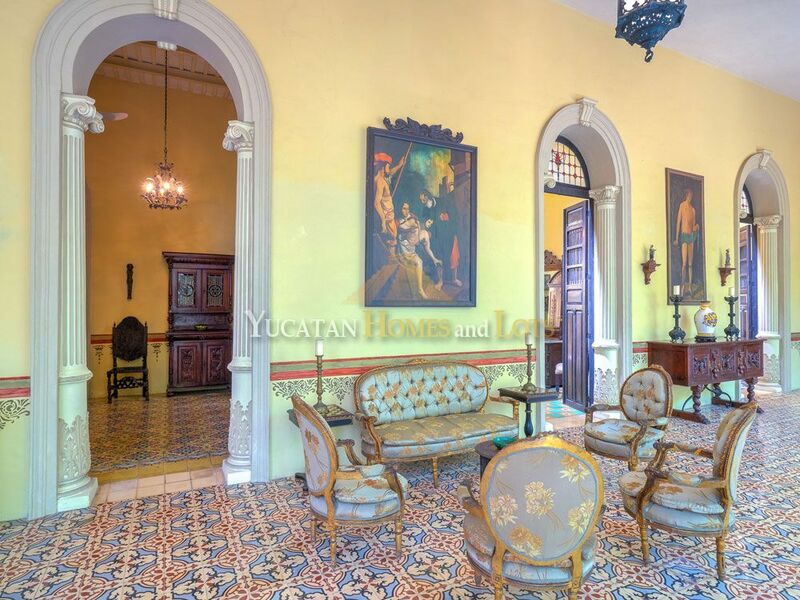 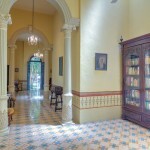 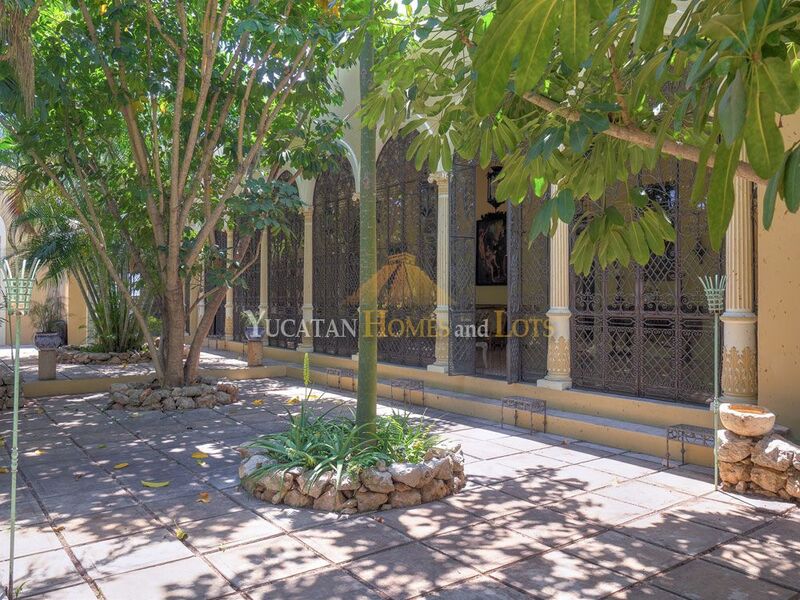 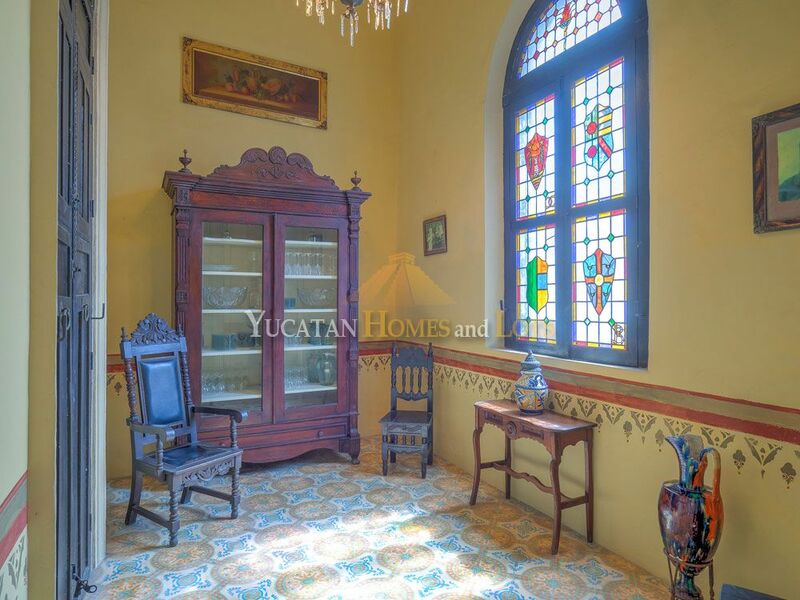 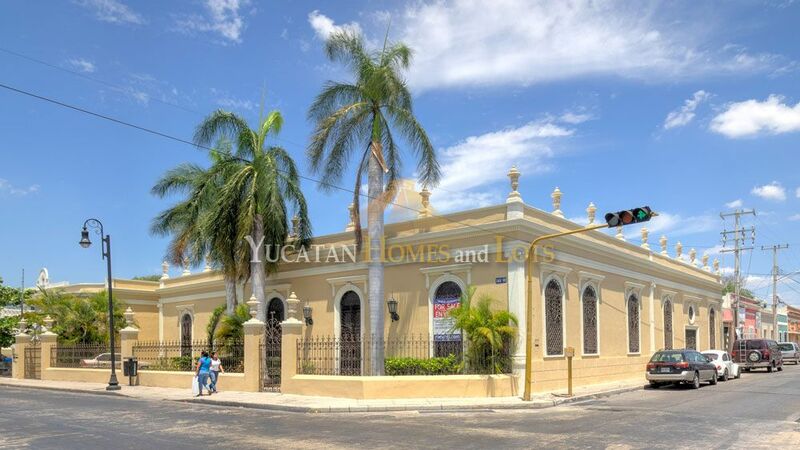 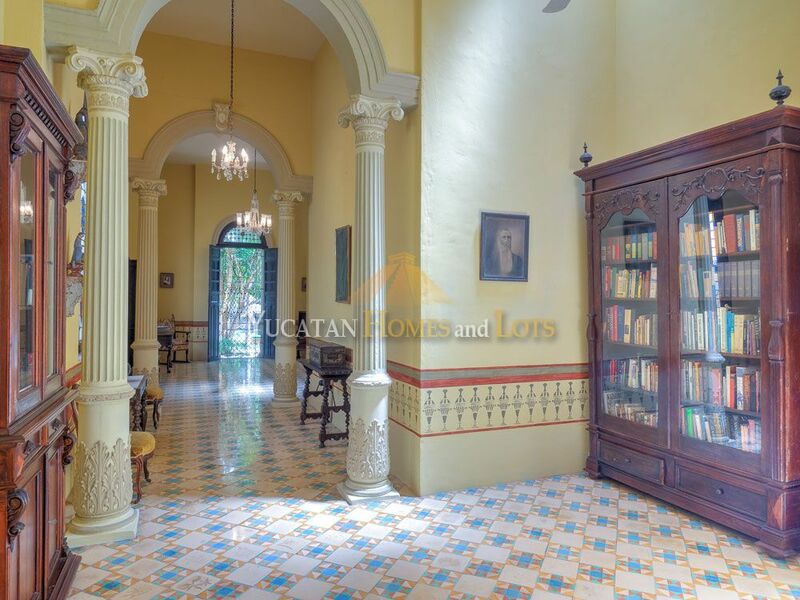 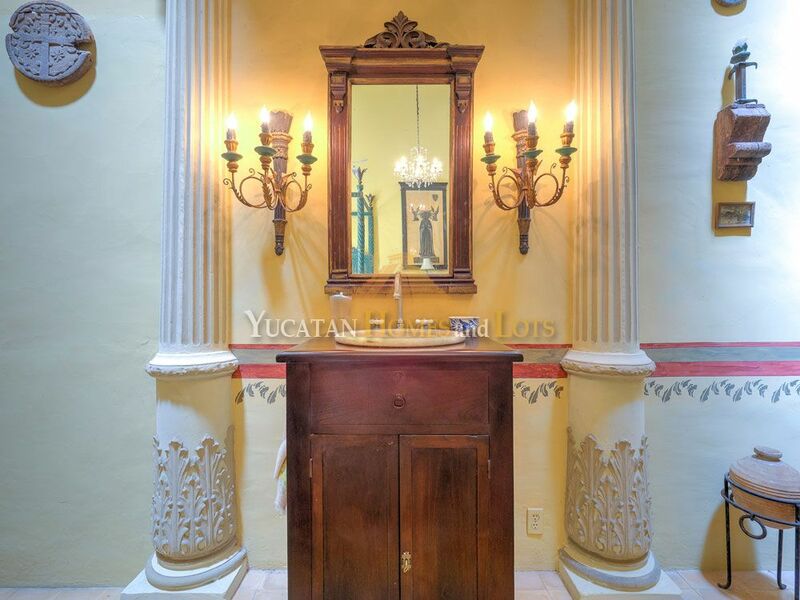 This one-0f-a-kind property is located in the Santiago Park area, on the newly renovated Calle 59, the once official entrance to the city of Merida. 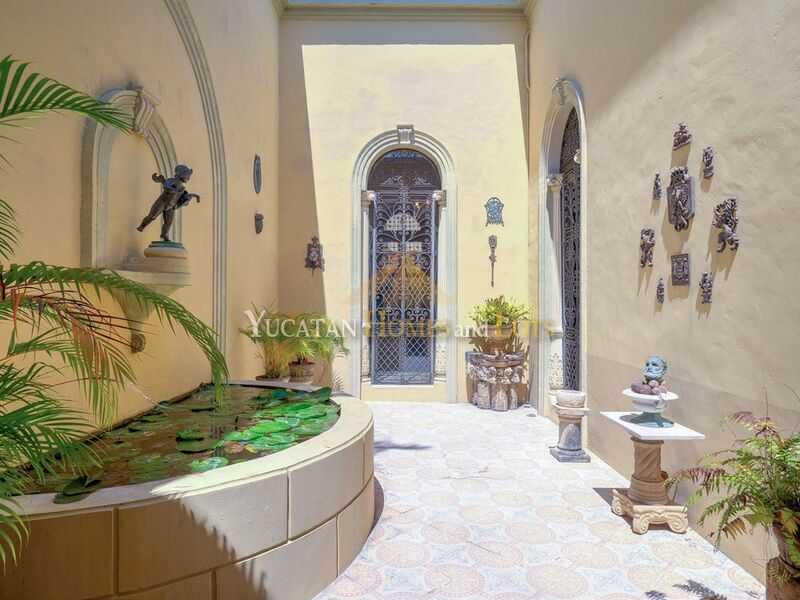 With 95 feet of frontage, this impressive home makes an impressive statement from the street of elegance and sophistication. 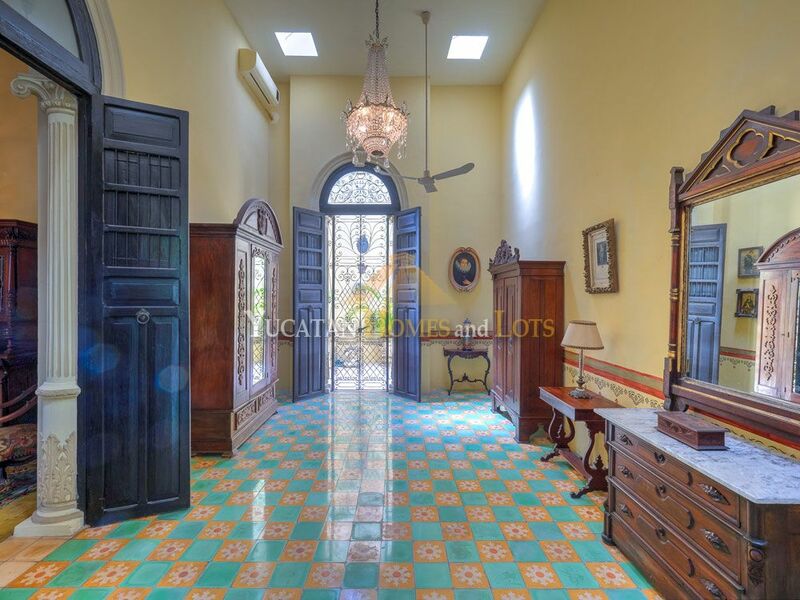 Step inside and prepare to be even more impressed! 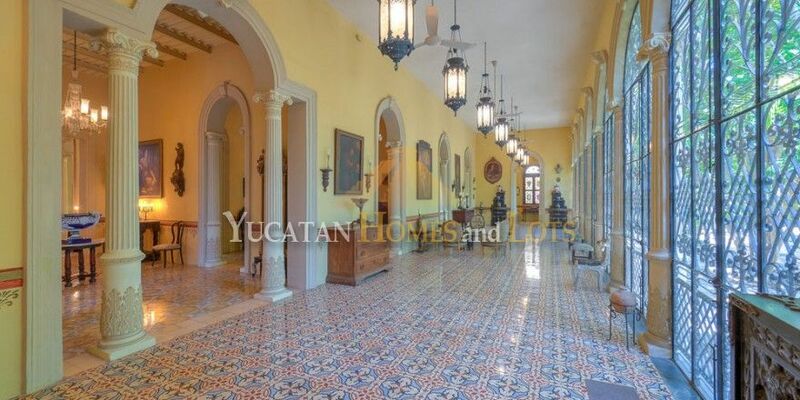 This house boasts over 7500 square feet of interior space, with 4 bedrooms, 3 bathrooms and inside parking for 2 cars. 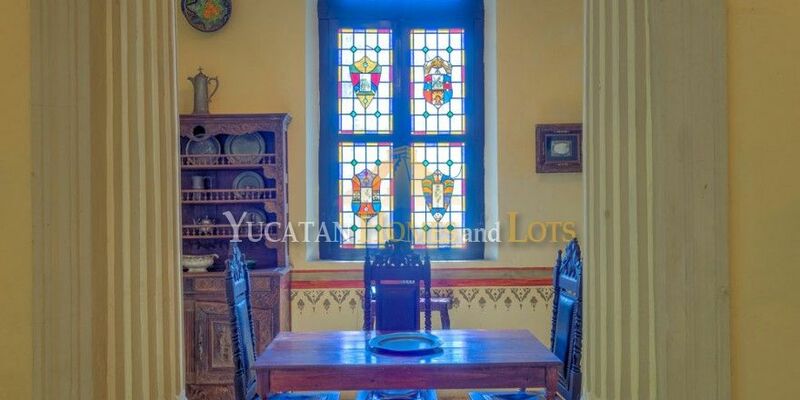 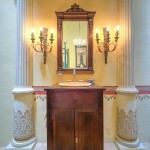 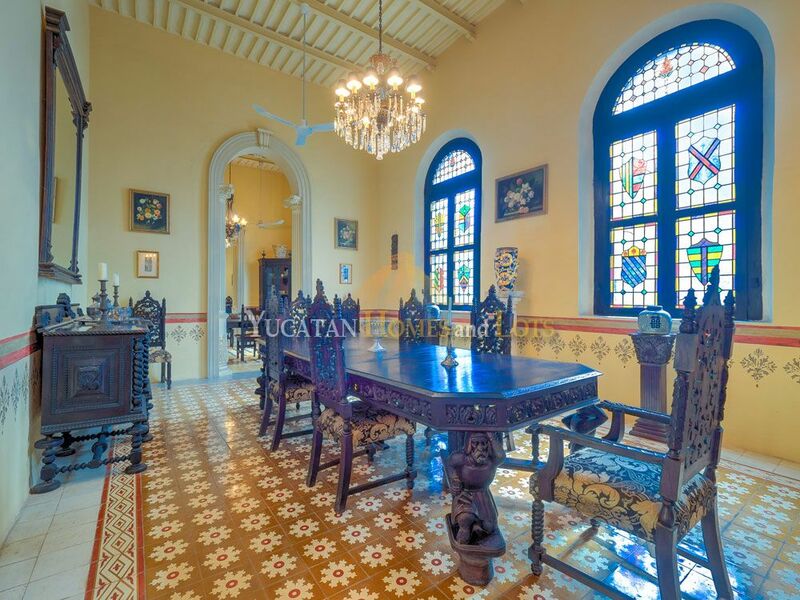 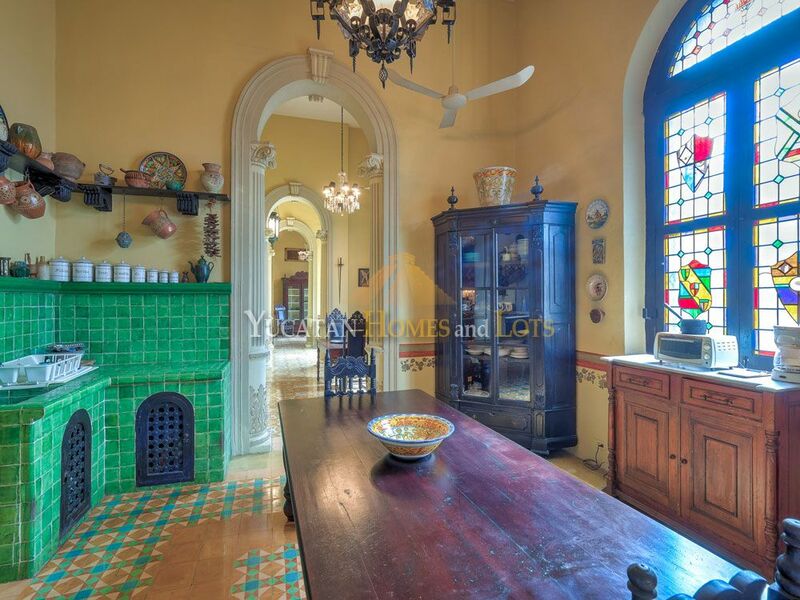 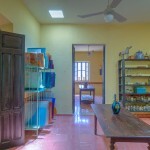 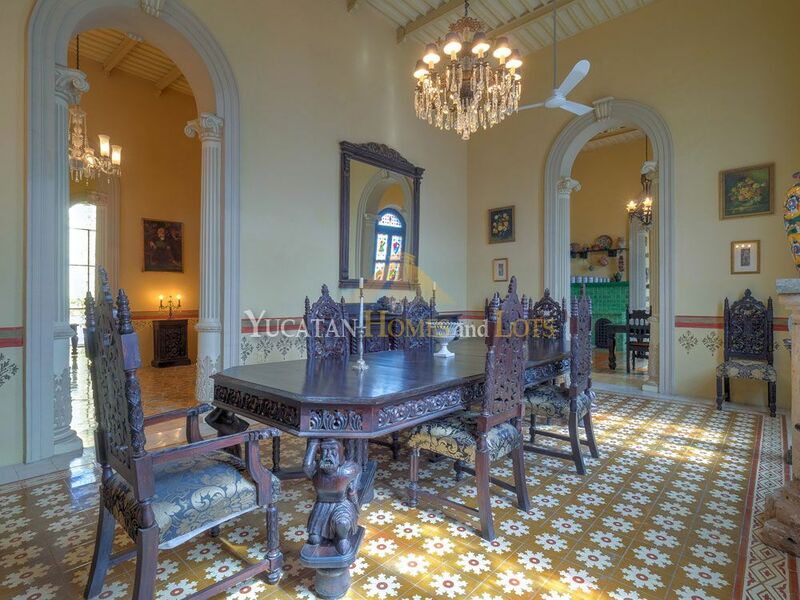 The house sells with everything you see in the photos… furniture, appliances and artwork! 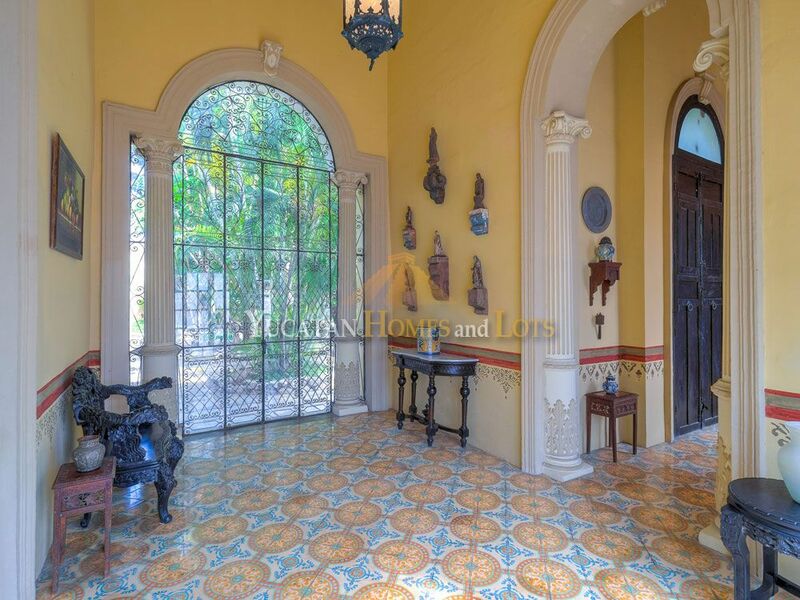 The pasta tile floors in this house are not the most impressive thing about this house, but they will make a lasting impression. 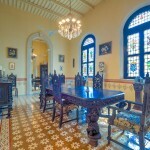 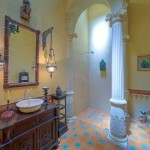 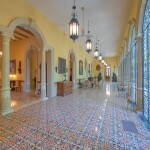 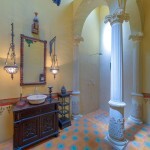 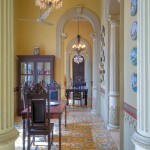 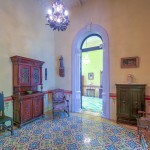 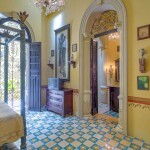 Polished to perfection, the colorful mosaicos spread from room to room in historical Merida splendor. 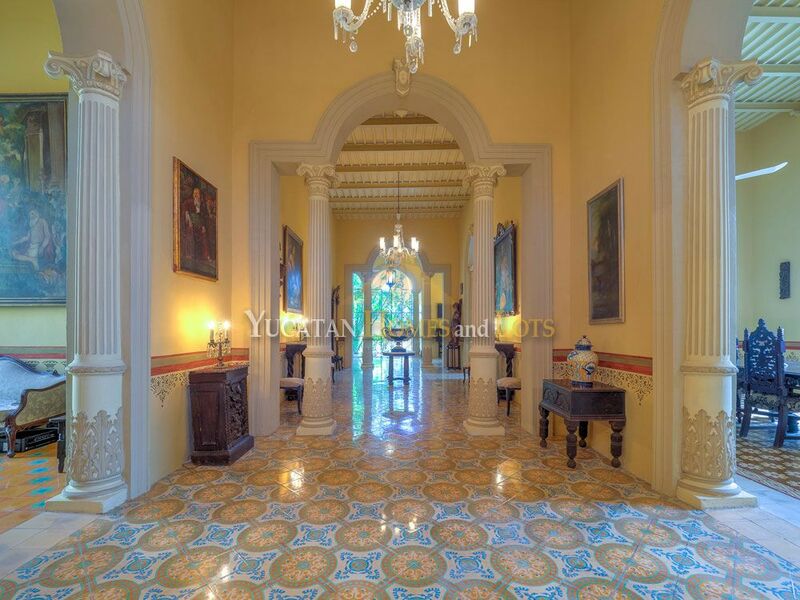 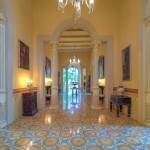 The ceilings in every room are tall, with elegant chandeliers in the central hallway. 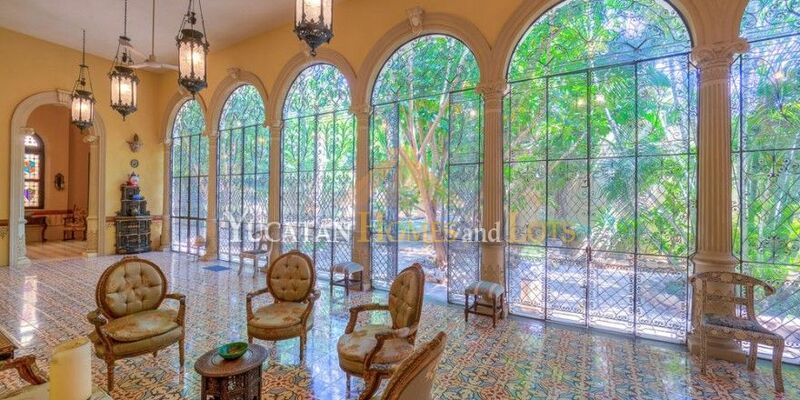 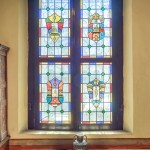 Arches and columns throughout create amazing vistas, as the light plays through stained glass windows. 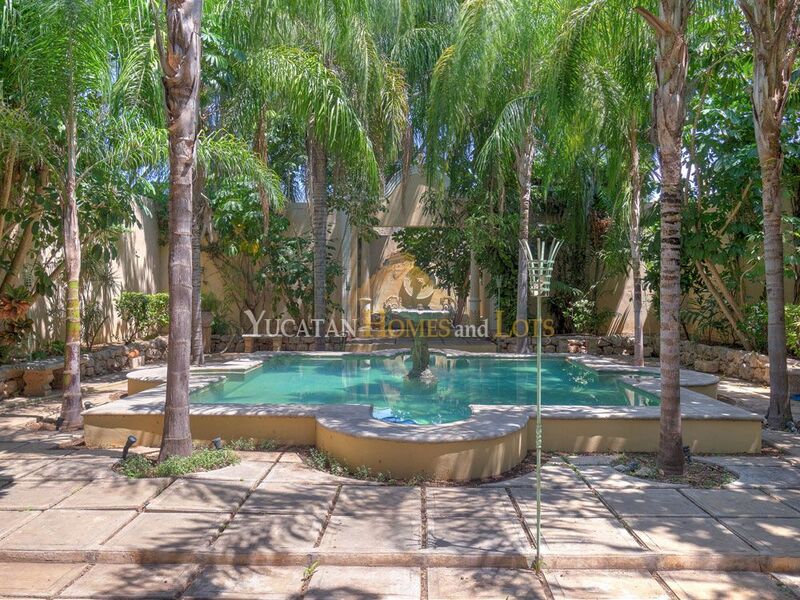 Four bedrooms and three bathrooms create plenty of space for even a large family and the common areas are both spacious and filled with filtered light. 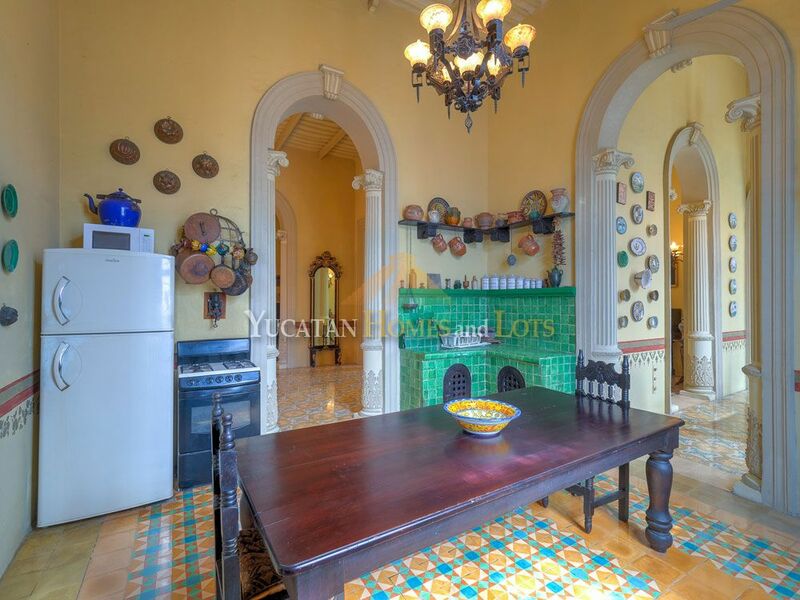 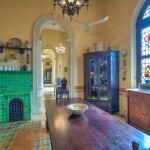 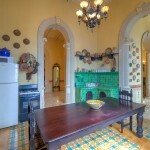 The kitchen is graced with green Talavera tile countertops. 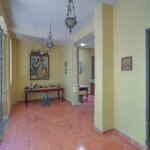 A spacious standalone 5-room studio is a perfect place to create art, or to rent out as a separate living space. 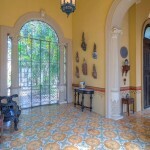 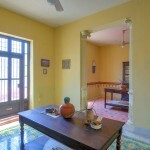 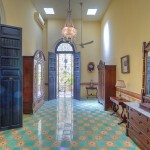 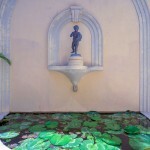 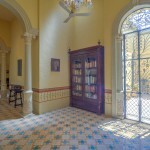 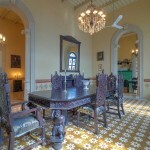 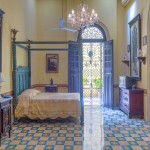 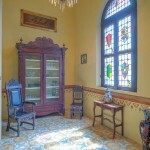 There are air conditioners and ceiling fans throughout, as well as original tropical hardwood doors. 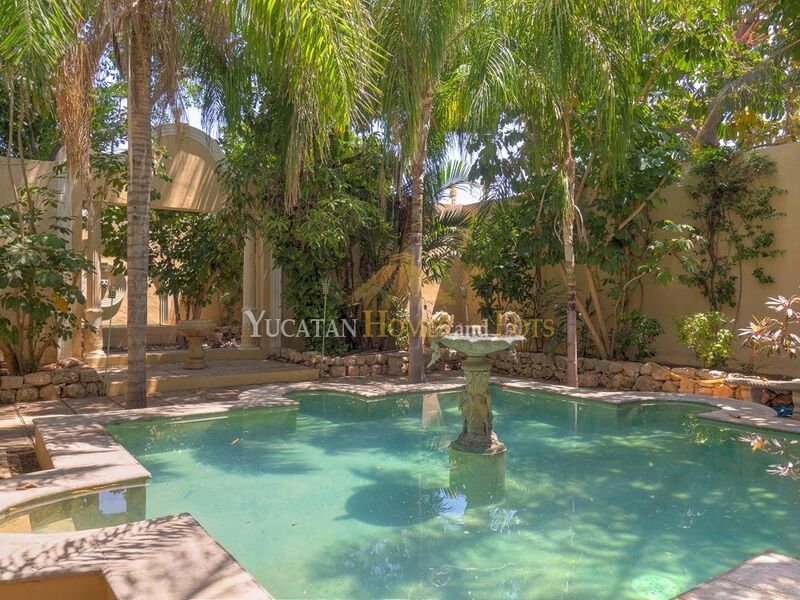 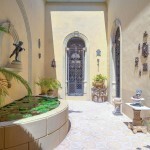 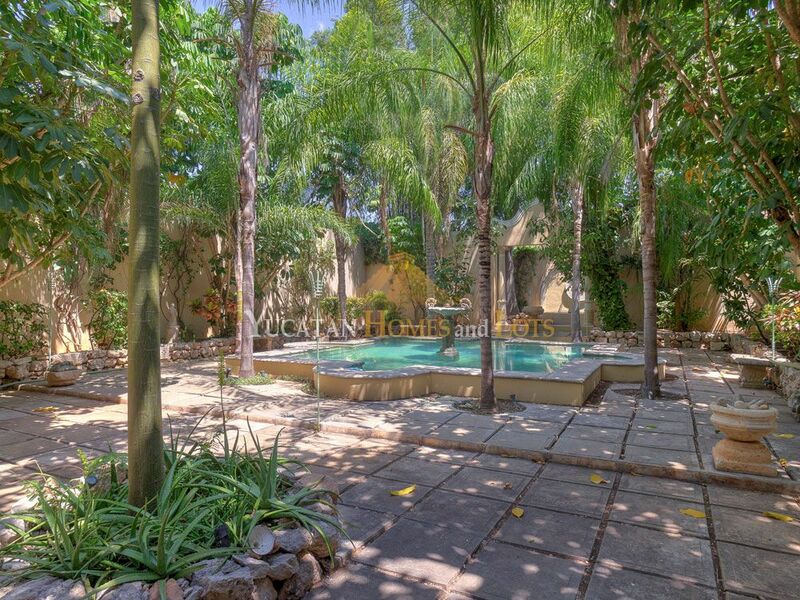 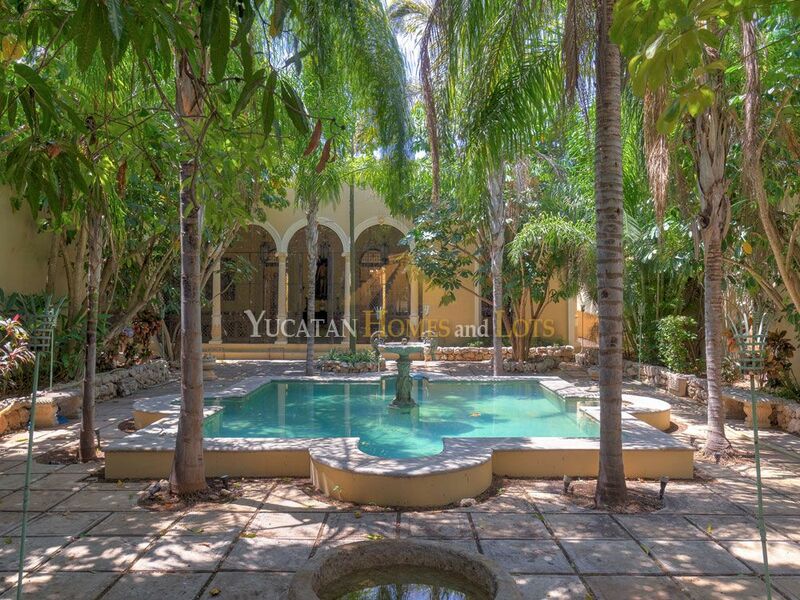 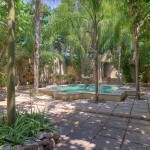 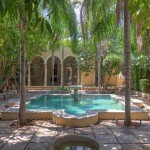 In the rear, the garden reflects the tall palm trees in front, shading a symmetrical patio surrounding a swimming pool with a central fountain… a place to admire and a place to cool off! 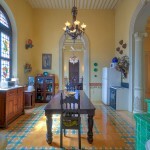 The roof has recently been resealed. 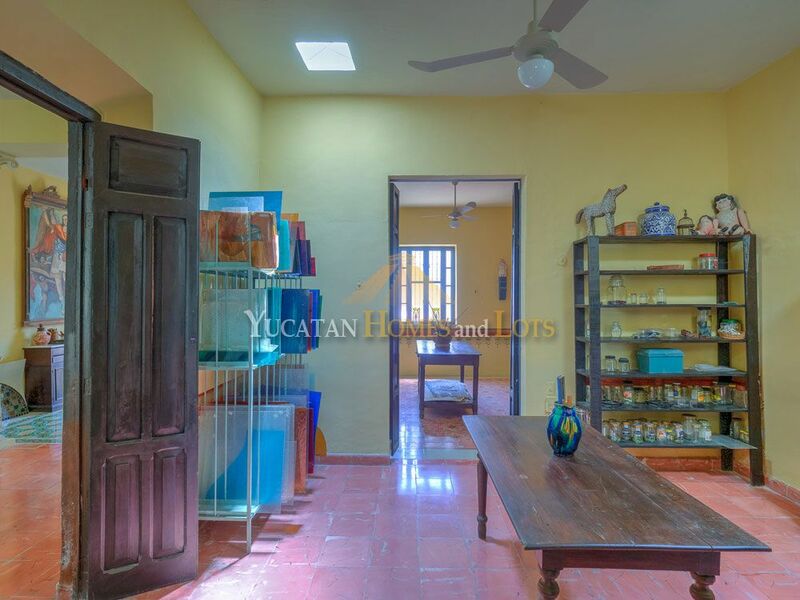 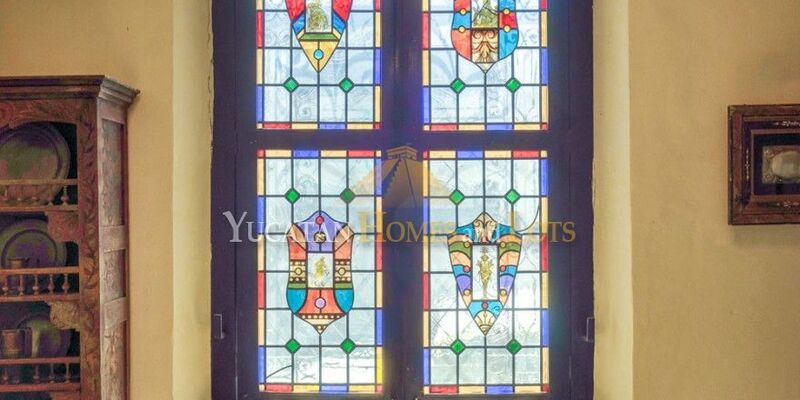 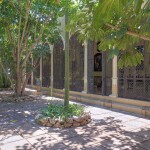 Because it is close to transportation, Santiago Park, the Zoo and many other Merida attractions, this property would make an incredible site for a small hotel, B&B or another commercial venture.